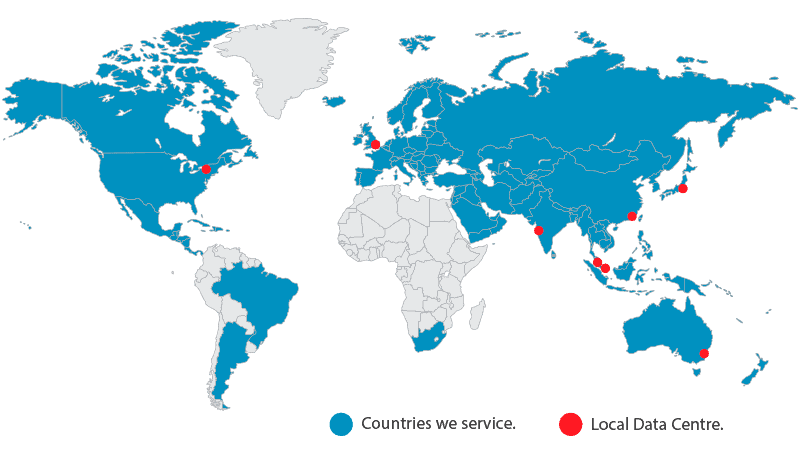 Delacon offers local and toll free call tracking numbers in many international countries. These numbers are competitively priced and are generally used in conjunction with the additional features associated with a call tracking solution. With data centres and offices strategically placed around the world and the ability to provision call tracking numbers for many countries, Delacon’s call tracking solution is truly global. For countries where our software isn’t operational, we can still track calls coming from that country to a destination that we do service. Please select the desired country from the dropdown to view the appropriate pricing. If your country does not appear in the list, please contact Delacon for the current pricing in your country.